Ready to hit the road this summer with your crew? The open road awaits, and nothing beats a good road trip. If you’re not sure where to go, or simply want a vetted and approved itinerary to follow, read on! I asked travel bloggers across the US and Canada for their top summer road trip itineraries. 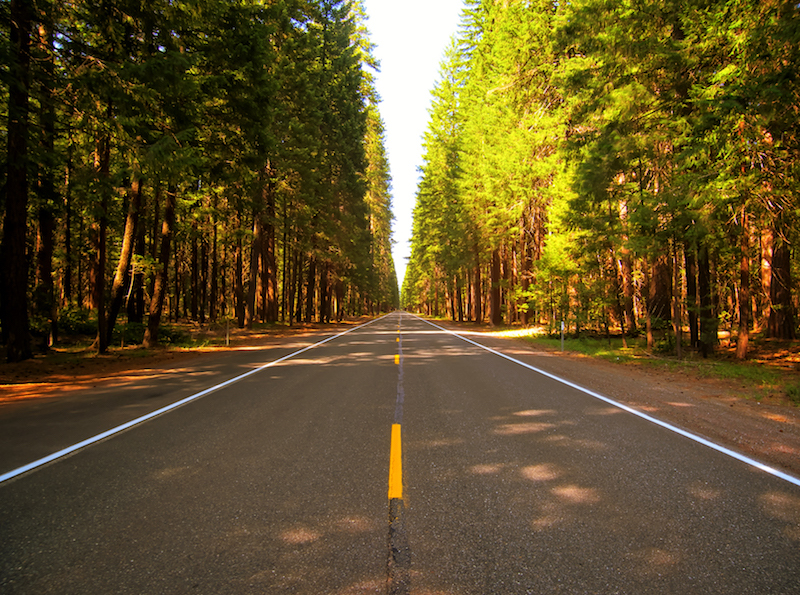 The western states are prime road trip territory if you’re seeking nature, the outdoors, national parks, and adventure! Below are our two favorite national park road trips through the western US, as well as additional itineraries from other travel bloggers. Glacier, Yellowstone, Grand Teton, and Zion National Parks road trip: This trip from yours truly at Pit Stops for Kids can be started in Portland, OR or Spokane, WA, and takes families through Washington, Montana, Wyoming, and Utah to some of the most breathtaking national parks in our country. Plan to camp along the way, or look for historic lodging inside the parks. Great Basin, Arches, Mesa Verde, and Grand Canyon National Parks road trip: This Pit Stops for Kids trip through the Southwestern US takes families from Nevada to Utah, Colorado, and Arizona. We ended in California, but where you go after touring the parks is up to you! National Park to Park Highway road trip: If you want the ultimate national park road trip, follow this seven week wonder from Mountain Mom and Tots! It follows the original 1920s national parks driving route and visits 16 parks! What an adventure! Colorado road trip: This road trip from Denver to Redstone Colorado takes families on the scenic path, with stops in Buena Vista and Aspen. It’s been approved by Traveling in Heels. If you have a few extra days, head five hours to Sand Dunes National Park as well. Oregon-Northern CA road trip: This 11-day road trip from Wild Tales Of features my hometown! It takes visitors from Southern Oregon’s forests and valleys to California wine country and back again! California coastal road trip: This Pit Stops for Kids trip along scenic Highway 1 on the California coast starts and ends in San Francisco, and takes families along windy roadways, through wine country, and to historic stops like Hearst Castle. If you’re looking for an iconic road trip that combines beauty with culture, this one’s for you! Grand California road trip: For a more, well, grand trip down the California coast, Trekaroo‘s itinerary includes luxury digs and educational stops all down the coastline. It’s ‘bucket list worthy’, for sure! Arizona road trip: This multi-day itinerary from Mira Terra Travel Blog touches upon all the national parks and national monuments in Arizona, with break taking scenery and desert landscapes dominating your days. Pacific Northwest coastal road trip: This trip from Family Travels USA takes road trippers through Oregon and Washington follows the coastline and major interstates, like I-5, and hits major cities like Seattle and Portland, plus scenic regions like Crater Lake and the northern WA coast. Four Corners road trip: Have you ever wanted to stand on the four corners (of New Mexico, Arizona, Colorado, and Utah)? It’s a fun family activity that always revolves around a larger road trip! Ohio Learning Vacation road trip: Brought to us by Family Travels on a Budget, this Ohio road trip takes families on a tour of history through the state, from Amish country to Cleveland and everything in-between. Plan to spend about a week, and good news for kids: they can consider this summer school! Tennessee family road trip: This road trip from Crazy Family Adventure goes from Nashville to Gatlinburg to Chattanooga with kid-friendly attractions at every stop. It features Ruby Falls, which was a favorite with our Midwest writer’s family! Find nature and city sights in one compact road trip. Iowa/Nebraska/South Dakota road trip: This road trip ends up in the Black Hills, but it takes its time getting there…in the best way possible. If you’re starting from the eastern or southern side of South Dakota’s Black Hills, Oh My Omaha has the route for you! Black Hills road trip: This outdoor adventure road trip through Black Hills country in South Dakota is tested and approved by Tips for Family Trips. It covers the Black Hills exclusively, including Mt. Rushmore, Crazy Horse, Devil’s Tower, and the scenic towns dotting the region. American Colonial and Revolutionary History road trip: An epic Pit Stops for Kids road trip ideal for school-aged kids and teens, this trip through Massachusetts, Pennsylvania, and Virginia spans US history from early settlement to the signing of the Declaration of Independence. The Best Ever East Coast road trip: If you want to see a little of everything, the title of this road trip, from Flashpacker Family, says it all. It spans from Maine to Florida, with all sorts of cities, historic sites, theme parks, and nature trails in-between. New York to Florida road trip: For those not needing to start at the top of the country, this road trip along I-95 from New York to Florida is explained in clear steps by Kids Unplugged. I love that it includes useful tips on where to stop to stretch legs along the way. Virginia road trip: This road trip from We3Travel covers highlights in the entire state, from Hampton to Shenandoah to Newport News. It takes families from history lessons in Jamestown to soft serve and museums in a two-week timeframe. Vermont Leaf-Peeping road trip: The folks at Back Road Ramblers have the ideal, ready-made road trip itinerary for nature lovers in New England. From state parks to quaint towns to miles of autumn glory, you can easily fill 3-5 days! Connecticut road trip: This quintessential East Coast road trip from Road Trips for Families takes families from riding roller coasters to enjoying New England charm. Centered around Litchfield Hills, it can be driven in just a few days, making it ideal for a long weekend. Cross-Country road trip: If you want to do it all, or at least see a little bit of everything, this road trip from Walking On Travels starts in Seattle and ends in Maryland. It emphasizes national parks and off-the-beaten-path stops. Epic Cross-Country trip: Readers will find several great road trip itineraries in this post from Flashpacker Family, but their cross-country trip takes the cake, with stops along Route 66 as well as national parks. Park-to-park trip: Families can hit 16 major national parks in one trip in this post from Mountain Mom and Tots! Families could spend all summer road tripping through Canada! With incredible wildlife and natural beauty and lots of open road, Canada offers outdoor fun combined with city and cultural offerings on both coasts. Vancouver Island adventure road trip: This trip was one of our all-time favorites at Pit Stops for Kids. Starting in the city of Vancouver, BC with a ferry ride to the island, this road trip includes kayaking, whale watching, hiking, and beach combing. Ontario and Quebec road trip: On the other side of the country, We3Travel offers up an eight-day road trip starting in Niagara Falls and ending in Montreal. What a perfect way to combine nature with culture! Nova Scotia road trip: From Mira Terra Travel Blog, this road trip spanning Nova Scotia’s eastern shore is all about wild, sandy beaches and untamed scenery.